Only Liverpool could let a 3-0 lead slip like that couldn't they? In the grand scheme of things the draw probably won't even matter but it's not the point is it? 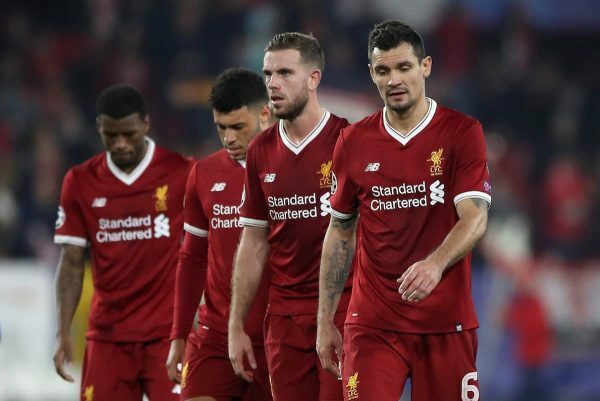 The Reds are so unbelievably weak at the back and facing a distinct lack of leadership I just don't think we have enough in the attack to carry us through the season. The game started phenomenally well with a goal inside just two minutes from Bobby Firmino. Swiftly followed by a beautiful header from Mane, Firmino then found Liverpool's third and final goal of the game at the 30 minute mark. Back in the dressing room at half time Klopp must have been over the moon. Comfortably winning and knowing his side were not only top of the group but that they would go through with a game to spare. All we had to do was see out the match. There's no denying that Sevilla were always going to come out second half with a bit more gusto but there was no excuse for Liverpool crumbling like they did. 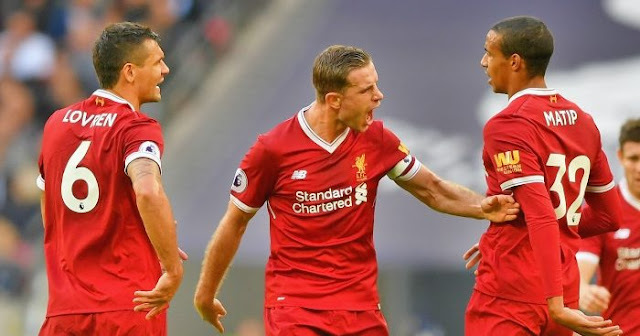 Liverpool lost 4-1 to Spurs at Wembley on Sunday afternoon thanks to a frankly pathetic defensive display. 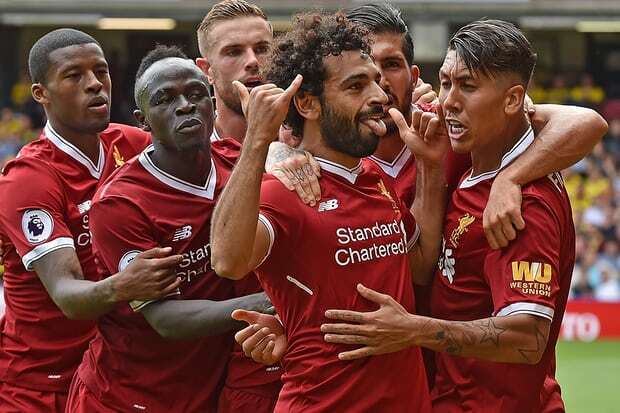 A single goal from Mo Salah fooled us all into thinking there may be a glimmer of hope but the Spurs attack was far too strong and the Liverpool defence far too weak. Firstly I think Clyne walks straight back into that defence and to be honest adds a whole lot of security. Secondly, some may have changed their minds once again about Moreno but I certainly have not, he's no defender and why buy Robertson if you aren't gonna play him? Granted Moreno has some sting on the attack but I challenge anybody to suggest that Robertson's crosses are any worse? We all have our preferences and we all know how the pundits like to point the finger every time the Liverpool defence concede from a set piece. I'm sure you all remember the Cahill incident on two occasions last season which i personally found almost unbearable, how did we allow it to happen twice? It was almost identical. Despite this i still myself believe in our zonal marking system, I'm convinced it works more times than not and that it is basically used as a scapegoat or excuse when we concede. "People always say when you man-mark you know whose fault it is when the goal goes in. But because we know the zonal system a bit better than you guys, we know who's at fault when someone's not done their job, and we talk about that on the training ground to put it right. "